Successfully Added Waterproof Smartphone Case - For 6.0-Inch Smartphones, 100% Waterproof, Dustproof, Sandproof, Neck Hanging Design to your Shopping Cart. Thanks to its convenient design, this smartphone accessory can be carried around your neck. This allows you to easily take along your cell phone anywhere you go. The case is waterproof up to depths of 10m. This means that you’ll even be able to use it while scuba diving or swimming. Simply slide in your phone, close the locks, and you’re all safe to go. It has been designed to hold larger sized 6.0-Inch smartphones. 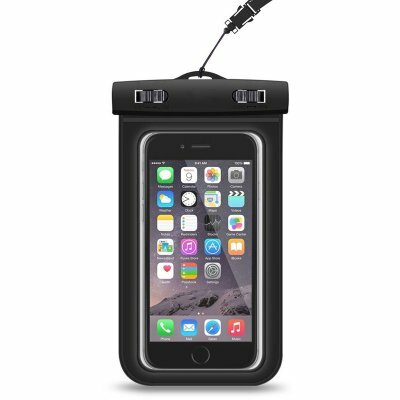 For those of you that spend plenty of time in the outdoors, this smartphone case is the ultimate phone accessory. This smartphone accessory comes with a 12 months warranty, brought to you by the leader in electronic devices as well as wholesale electronic gadgets..